Mister Rogers arrives with a yellow card and a blue card -- one says "up" and the other says "down." After demonstrating up and down on the steps, he takes out some blocks which he uses to build a rocket which he pretends to launch to Someplace Else. Mister Rogers mentions that people grow up slowly and sings You're Growing. 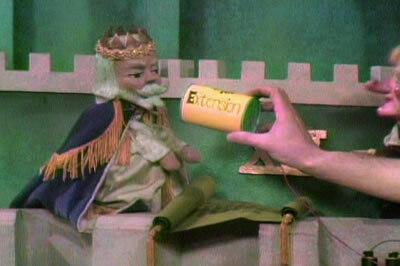 Moving to the kitchen, Mister Rogers is making himself a glass of chocolate milk when Handyman Negri stops by to find out the latitude and longitude of Someplace Else. With the help of one of Mister Rogers' books, they determine the precise location of Someplace Else. In the Neighborhood of Make-Believe, Handyman Negri arrives with the latitude and longitude of Someplace Else which is the missing piece for a proper launch of the rocket. King Friday has issued 276 rules for the launch, the first of which is to call Someplace Else to alert them to the rocket's launch. Counting to ten and then back to one, the rocket launches and lands safely at Someplace Else where others are anxiously waiting. Officer Clemmons offers a proper welcome by singing We Welcome You Today before King Friday is thanked for his direction rules for a successful rocket launch. He declares that rules are intended to keep people "safe, yet free." Back at the house, Mister Rogers talks about the importance of rules in order to stay safe. He concludes by singing I Like To Be Told. Mister Rogers makes chocolate milk using "Neighborhood Chocolate." 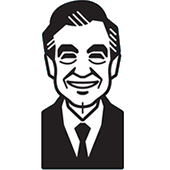 Mister Rogers states that the latitude/longitude of Someplace Else is 40°N / 79°W. According to Google Maps, on Earth this puts the location of Someplace Else just off of Stutzmantown Road outside of Somerset, PA.
As Handyman Negri leaves Mister Rogers' house, To Go To Someplace Else plays in the background. The call to Someplace Else is made using the Telecan Extension.